It easy to think that these two computing terms are synonymous since most of their dictionary meanings include the words “imitate” or “equal in operation.” However, they are not in any way the same, particularly from a computing point of view. A system able to mimic another system to a certain degree A system that mimics the exact behavior of another system. A simulator is usually a computer program that is able to imitate the operation of various real-world applications and processes. 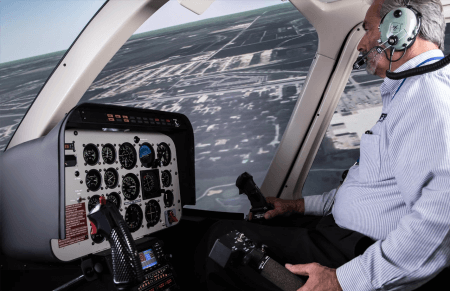 While it may mean several things, a simulator’s main purpose is to mimic a system for the purposes of safety engineering, performance optimization, training, testing, education, and video games. There are also simulators that simulate human systems and provide valuable data on how the body works. A simulator can also help in determining the results of applying different conditions or courses of action without incurring huge experimentation costs. A computer simulator program can provide vital information about how a system works by simulating a real-world or hypothetical situation. Computer simulations have helped in modeling numerous natural systems in biology, physics, chemistry, and human systems in social science and economics. In computing, an emulator is a hardware or software that allows a computer system (i.e. host) to function as another computer system (i.e. guest). 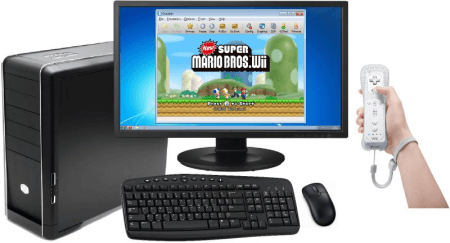 Most emulators allow the host computer to run applications or peripheral devices made for the guest computer. Emulators rely on a program to imitate another program or device. Emulation enables a host computer to perform functions that may be unique to the hardware or software being emulated. An emulator may follow a different set of protocols to be able to execute this action, but the results are what can be expected from the target object. A common example would be a console video game emulator program for computers. When installed, a PC user will be able to play video games originally designed for console gaming. There are similar emulator programs for smartphone devices as well. A downloadable microprocessor emulator called EMU8086 mimics the 8086 microprocessor so a user can actually experience how an 8086 microprocessor can perform as if it was physically installed on the computer’s motherboard. So what’s the difference between a simulator and an emulator? A simulator program in a computer is a virtual environment that models real-world applications (e.g. driving, designing) and theoretical concepts (e.g. astronomy, statistics, weather forecasting). An emulator, on the other hand, is hardware or software that allows computer hardware to function exactly the way a certain hardware/software that is being emulated would. A simulator has many applications in various fields of knowledge. It can help predict eventual outcomes when alternative courses of actions and conditions were applied. It models the target event, so it mimics or simulates. Emulators, on the other hand, are commonly used in hardware to mimic the functions of another hardware or software. Emulation is done to the point that exclusive peripheral hardware or software will work on a device installed with the emulator.